The previous weekend (24-25/4) in Thessaloniki, Greece took place the yearly FOSS Community conference – FossComm 2010 which is right now the biggest FOSS conference in Greece. Greek Fedora team was there and had a great time and presence. In the last months Greek Fedora community is very active with a lot of adds especially in the translations and Ambassador team. 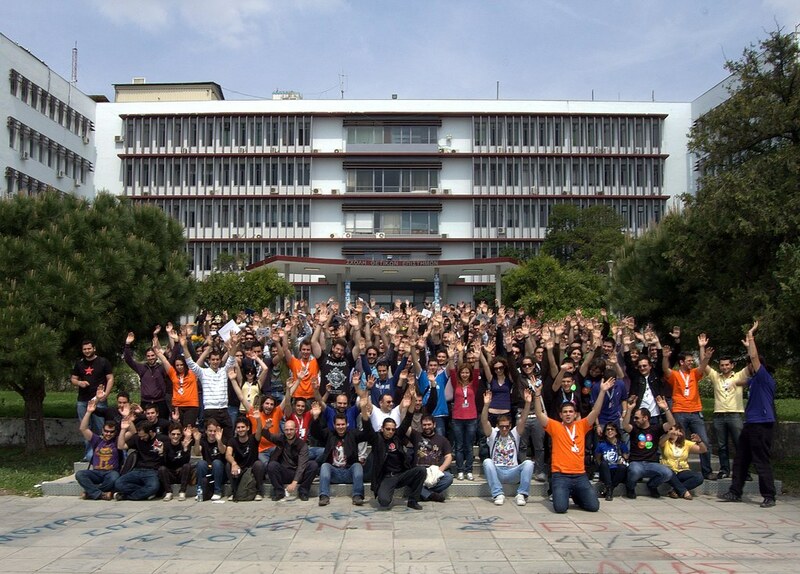 That’s why in every foss event in Greece we have the best and active presence. In last year’s FossComm, Fedora’s booth had three ambassadors/contributors, one translator and one friend of us who is now a member of the marketing team. This year our booth was way bigger with 7 ambassadors/contributors one contributor from the marketing team, one female translator and one beautiful girl who is helping continuously fedora without being registered anywhere. The conference was successful with about 500 people attending. What a wonderful chance to inform people about Fedora, our new Greek Fedora forum and find new contributors. Our booth had everything, the usual LiveCDs and install DVDs, many flyers, fedora stickers, fedora buttons, cheat cubes and 2 fedora coffee cups. I am very thrilled about the passion of our new contributors who gave their best to inform the people and present Fedora 13’s new futures. By numbers we gave a lot of live CDs (250), flyers (130), swag and we earned 3 new translators and one marketing guy. In FossComm now, Fedora had one talk and one workshop. The talk had the title “Fedora fails and that a good thing” and made by me and Pierros Papadeas. 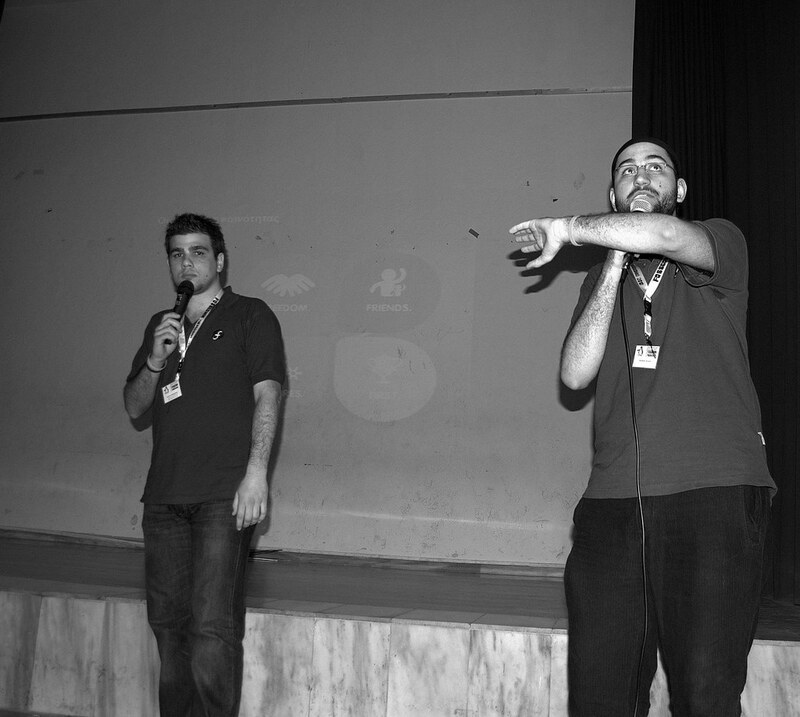 In the talk Pierros had the role of the Fedora as an operating system and I had the role of the Fedora Community. We introduced the fedora architecture and we explained that even when & if we fail our infrastructure is such well organized and build that the fail turns into a good thing about the Fedora project. With other words we present our perfect governance. The audience gave us very positive feedback and that pleased us. In the workshop Pierros Papadeas impressed the audience presenting Fedora 13’s new futures. I have to admit that his presentation was (as always) amazing, encouraging new people to give a try to Fedora 13. In the end i am pretty sure that Fedora had another successful presence in FossComm 2010. Well done guys, you did an excellent job. Way to go!